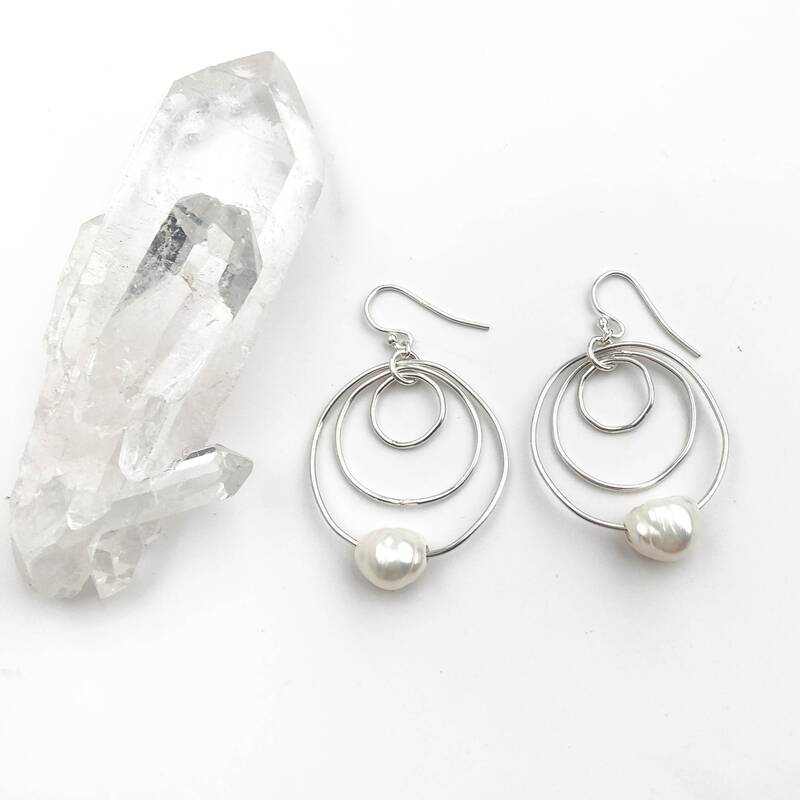 * Total length is 1.75" and the circles measure approximately 1.2" across at the widest point. 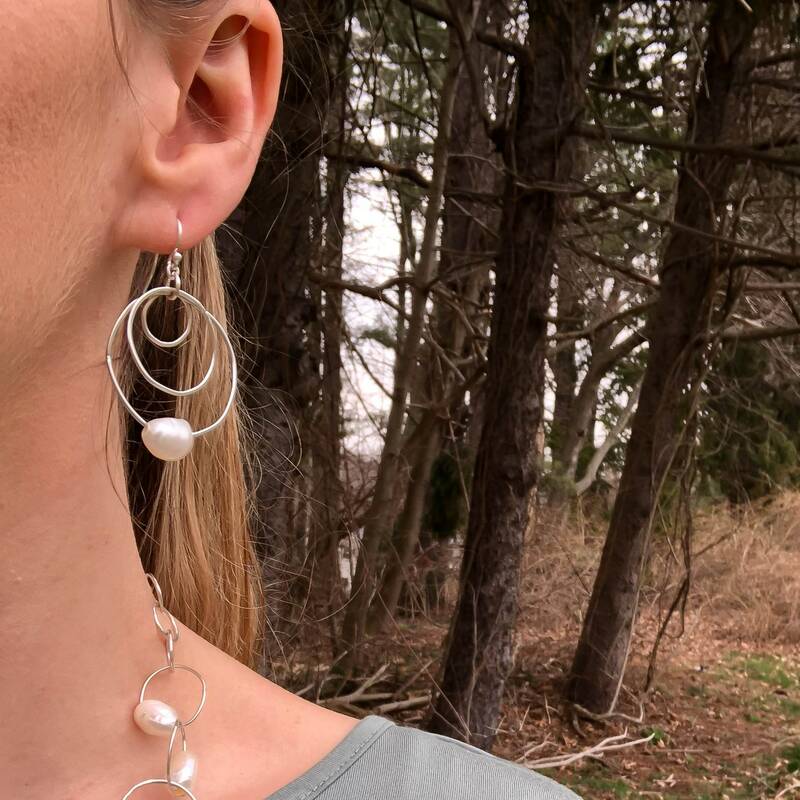 These unique dangle earrings are handmade with lustrous freshwater pearls and nickel free sterling silver. 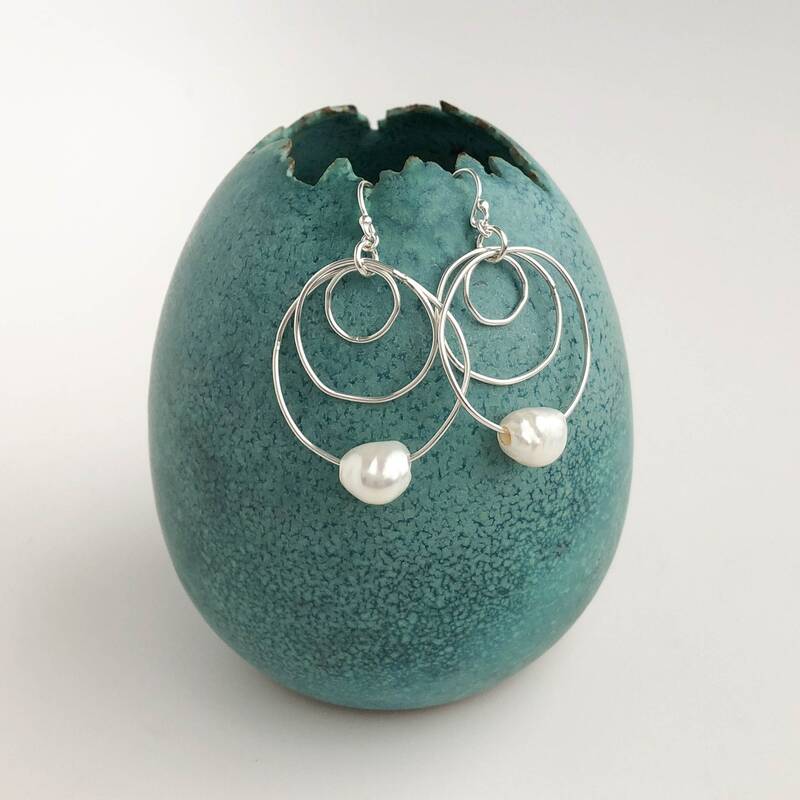 The circles are soldered shut and formed by hand into organic shaped circles. 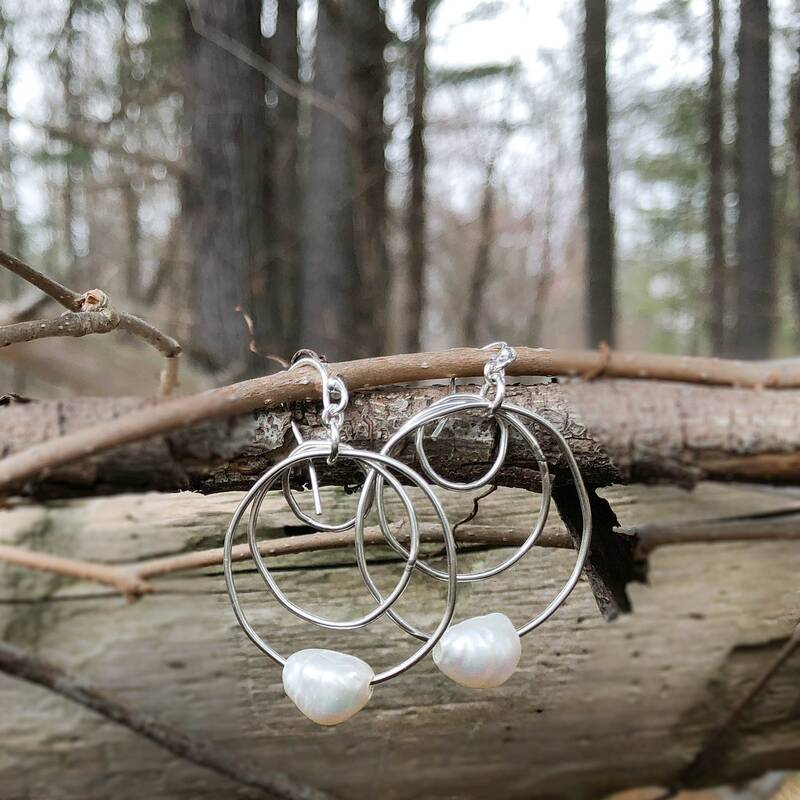 A single freshwater pearl slides along the outermost hoop for just the right amount of shine and texture. 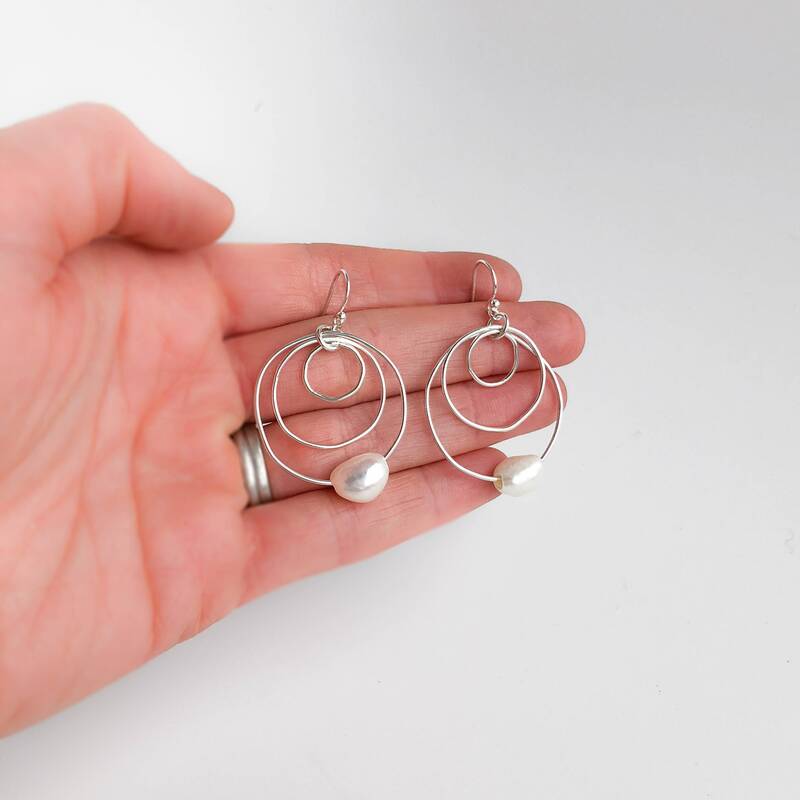 The silver is polished to a high shine to reflect the light perfectly. 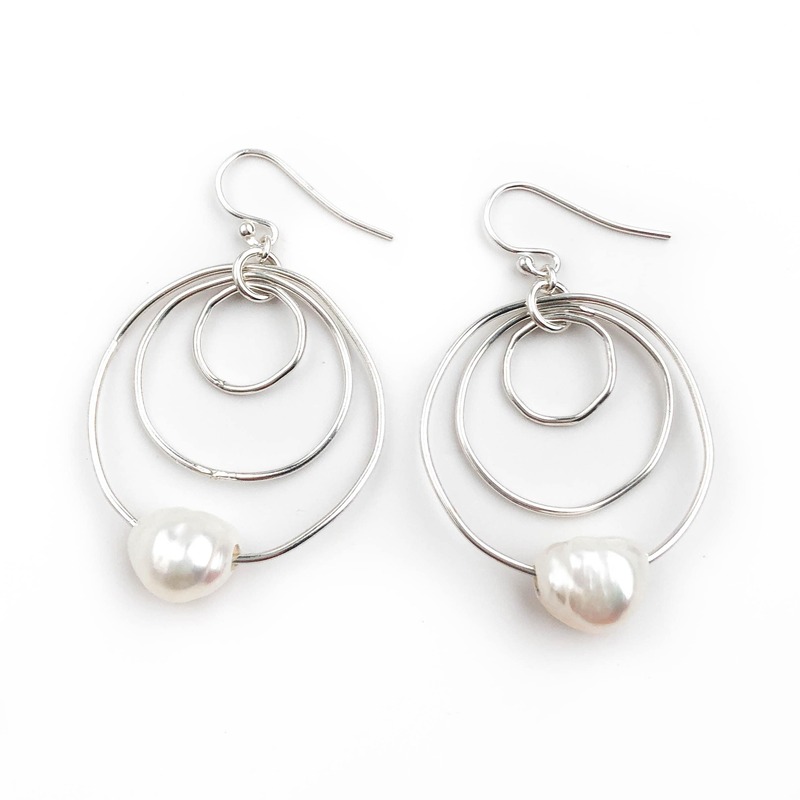 These are super lightweight and comfortable to wear, perfect for everyday! These are just beautiful. Lightweight but with a substantial look, and great shine. 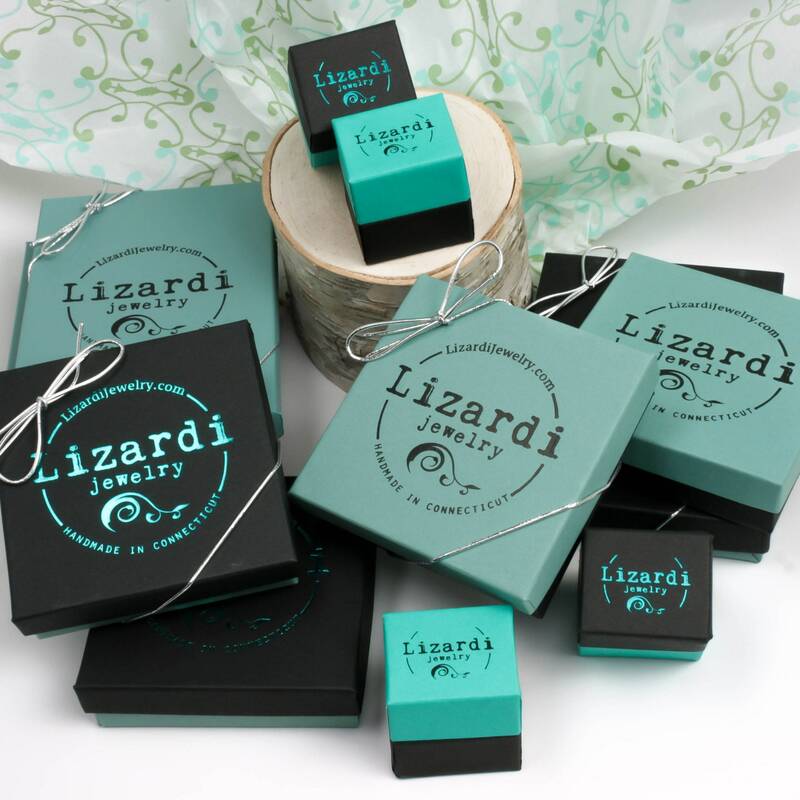 They arrived very quickly, and were beautifully packaged. I will be back for more pieces in the future! 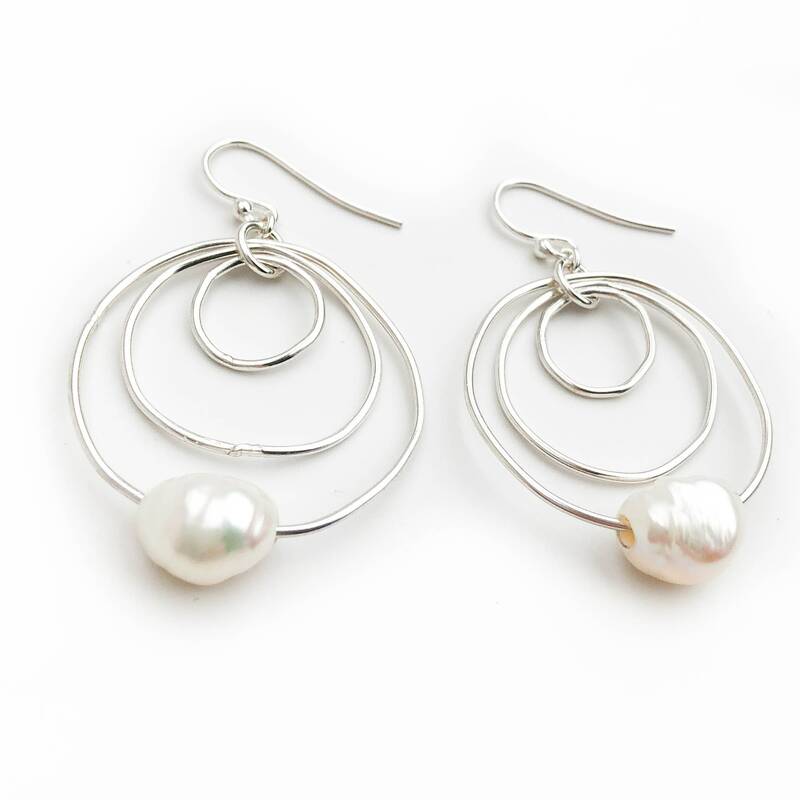 Great seller, prompt shipping, great communication, fabulous jewelry!